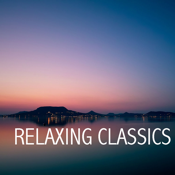 This set pulls together the 100 best slow movements and pieces of all time, making it an amazing value for both the newcomer looking to become acquainted with classical music, or the veteran listener who just wants something to help unwind. Each CD has its own separate theme with the most relaxing selections from Baroque, Romantic, Modern Piano, Mozart and Beethoven and Film Classics! Artists include Martha Argerich, Jessye Norman, Maria Callas, Yehudi Menuhin, Jacqueline du Pre, Choir of King's College, Cambridge, Herbert von Karajan, Simon Rattle, and more! Support In-App Purchase,you can listen before making purchase.